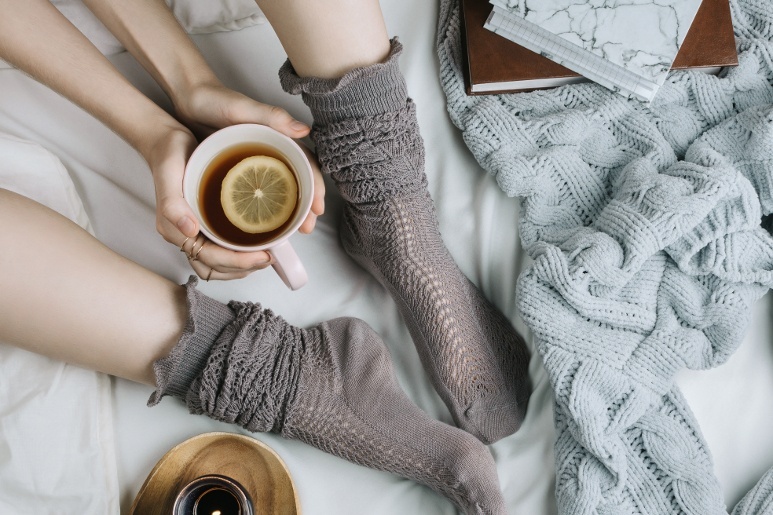 If you’ve never heard of these Danish concept, hygge basically relates to comfort and coziness. When you want to hygge a specific space, you want to make it feel luxurious, comfortable and delightfully functional. If you’re lucky enough to own an RV, boat or both, it’s so important to hygge the interiors, especially if you’re one of the lucky folk who can go RVing or sailing during the fall or winter months. After all, you have limited space and should make the most of it. Consider these great ideas to get started. Many Danes associate hygge with candles due to the warm light they cast in the room. But we all know that lighting candles might not be the best idea in RVs or boats. Thus, use the natural light to your advantage when you’re traveling during the daylight hours. Hang sheer curtains or blinds that allow lots of light in. And most importantly, swap out the lighting that comes with the vehicle. Florescent lighting is never attractive, cozy or inviting. It’s as easy as replacing a simple bulb or hanging string lights to create warm mood lighting. When you sit down in a chair or get into the bed, it should feel very comfortable. Create custom seating with specific comfortable fabrics in warm color palettes. Measure the length of one of the standard seats in the RV or boat. Purchase memory foam and velvet fabric. Redo the seats in order to achieve comfortable custom seating. Instead of settling for the bed that comes with your vehicle, find a deluxe mattress that feels and looks inviting after a long day of traveling. Go the extra mile and purchase the fluffiest throw blanket you can find together with the fluffiest knitted socks money can buy! Simplicity is key in hygge. Since you’re working with limited space, make sure that every item as a purpose and an assigned spot. You never want to deal with tons of clutter. It does nothing for the eye. It can also help to create an atmosphere of anxiety. Use natural aromatherapy options like essential oil diffusers to keep the inside air smelling sweet and clean. Open to the windows to let fresh air in. Use a shower spray to clean the shower after each use. Make hot cocoa, mulled wine or tea for when you cozy up to that book you’ve been looking forward to get back to. You’re in a moving vehicle, but that doesn’t mean you can’t enjoy the fine luxuries you’d see in a hotel. Since boats and RVs are moving vehicles that rock and shake, it’s a good idea to bolt down your accents. Use a screwdriver and hooks to attach a vase to a piece of beautifully distressed wood. Hang that artwork with the beautiful wooden frame to the wall. When you’re ready, you can add a little bit of water and some fresh flowers to the vase for a natural accent. Add some pretty throw pillows of different textures to the passenger seat. A brightly-colored, natural fiber runner would work well on the floor as a fun accent that pops. What’s the most hygge spot in your RV or boat? This entry was posted in Boating and Sailing, RV Lifestyle and tagged Interior design, RV living.